Each year we really try to make the most of our Summer vacation and we usually do a pretty good job. I’m hoping this year is no exception. While we have a huge hole with my mom being gone, and all the time we usually would share with her in the summer, we are looking forward to still making the most of it. And even though doing things won’t replace Grandma, I just want to keep our minds busy. 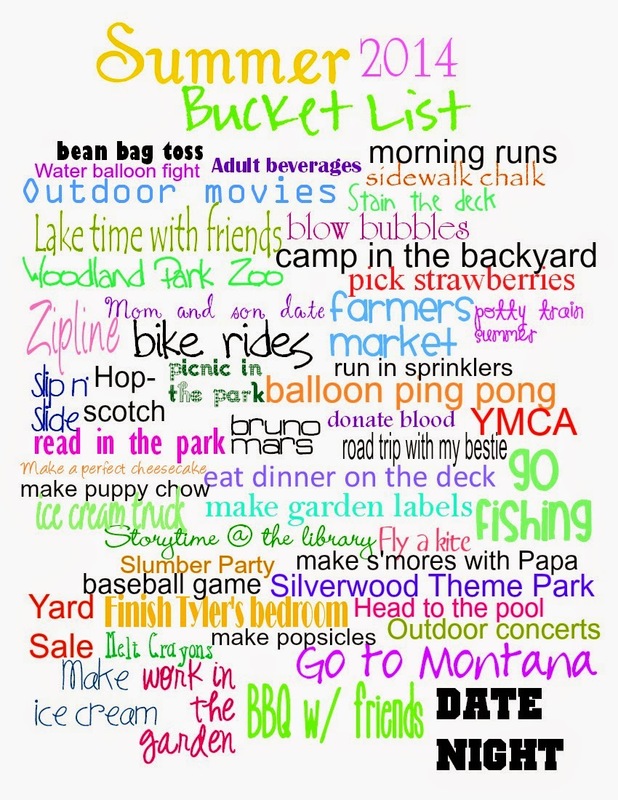 A lot of our Summer bucket list is the same year after year. Each year we go to Silverwood theme park, we go to the pool, we run through sprinklers. But it’s still fun. And each year we have new things to try out too. We are going to the outdoor movies in the park, I’m going to see Bruno Mars, we’ll finish up Tyler’s bedroom. Check out the entire list for yourself! Want to see what we’ve done in the past Summers?